1. 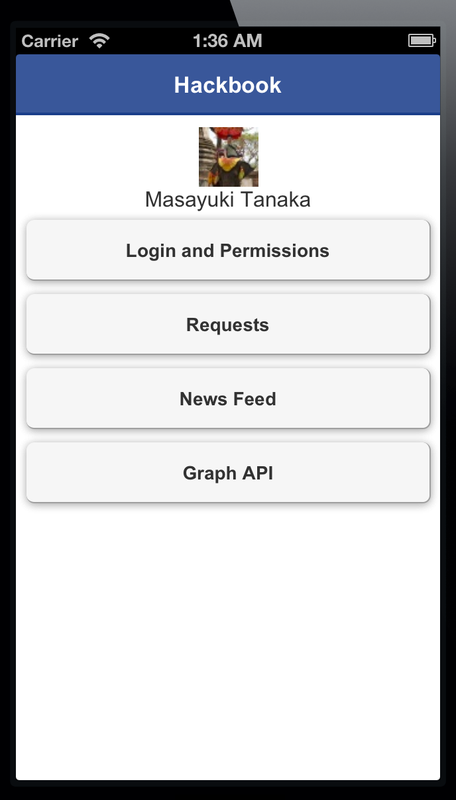 Download the latest Facebook SDK for iOS from the iOS Dev Center. 2. Add the Facebook SDK for iOS Framework by dragging the FacebookSDK.framework folder from the SDK installation folder into the Frameworks section of your Project Navigator. 3. Choose 'Create groups for any added folders' and deselect 'Copy items into destination group's folder (if needed)' to keep the reference to the SDK installation folder, rather than creating a copy. 4. Add the Facebook SDK for iOS resource bundle by dragging the FacebookSDKResources.bundle file from the FacebookSDK.framework/Resources folder into the Frameworks section of your Project Navigator. 6. Add the headers by dragging the DeprecatedHeaders folder from the FacebookSDK.framework/Versions/A/DeprecatedHeaders folder into the Frameworks section of your Project Navigator. 7. Choose 'Create groups for any added folders' and deselect 'Copy items into destination group's folder (if needed)'. This adds the headers as a reference. 8. Click on your project's icon (the root element) in Project Navigator, select your Project, then the Build Settings tab, search for Other Linker Flags. 11. Click on your project's icon (the root element) in Project Navigator, select your Target, then the Build Phases tab, then the Link Binary With Libraries option. 12. Add the Social.framework framework. Make it an optional framework to support pre iOS6 apps. 13. Add the Accounts.framework framework. Make it an optional framework to support pre iOS6 apps. 14. Add the AdSupport.framework framework. Make it an optional framework to support pre iOS6 apps. 15. Add the Security.framework framework. Make it an optional framework to support pre iOS6 apps. 2: From the Cordova Facebook Plugin folder copy FacebookConnectPlugin.h and FacebookConnectPlugin.m from the src folder into the new group "ios". Joe Gebbia: The Airbnb Story from Piers Fawkes on Vimeo.